How to Choose the Right Landing Page Template? As you’ve learned from the first two chapters of our landing page guide, there are many kinds of landing pages available for businesses. For instance, you might make a landing page to draw attention to an upcoming event, to drive sales to a product or service, to boost traffic, and to generate more leads. These landing pages should all look different from one another. A landing page for your company’s service might be testimonials-based. Other landing pages will rely more on a strong copy and call to action buttons. Other included elements, such as videos and opt-in forms, may appear only on some landing pages. 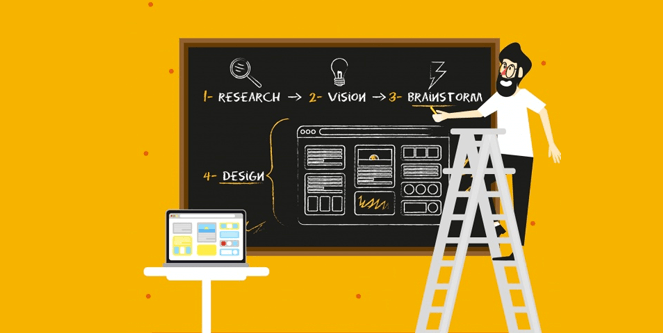 If you have yet to design your first landing page, you want to get it right the first time. You’ll want all the elements to stand out without distracting from your core offer or goal. Making the perfect landing page can be difficult if you’ve never done it before. However, there are landing page templates across the Internet that will arrange everything just the way you want it. All you have to do is drag and drop; it’s often as simple as that. Not all templates are created equal, though. The ones you can get for free are sometimes very bare-bones because the company is hoping you’ll pay for their premium templates. You may sometimes strike gold and find great free templates, but it's no guarantee. The probability of free templates actually being useful is very less. If you want to use templates as time-saving tools, this chapter is for you. We’ll explain how to find the most suitable template to make your own landing pages that convert. A landing page template is merely a blueprint of your final landing page. The template may be simple in design or more decorative. It’s all based on your business goals and your personal preferences. In fact, you can often customize your template from scratch to ensure it meets your exact specifications. There are templates available that correspond to most landing page types you might want to make. These include content marketing landing pages, event promotion landing pages, affiliate landing pages (with affiliate links), PPC landing pages, even lead gen and product/service landing pages. As you’ve surely learned as a small business owner, it sometimes takes money to make money. You’ve likely had to pay for your website design, marketing software, payroll programs, and countless other expenses. When a free service fortunately comes along, such as templates for your landing page, it can be very tempting to go for the free option. You’re still getting the service you need without spending a cent. Some companies will indeed let you design your landing page for free using their templates. Should you always use these? That depends. You have to look at these free templates the same way you would look at a free website builder. Does it get the job done? In most cases, it does get the job done. However, free services like these often give you just the bare bones. The same would be true of a free landing page builder. If you plan on making a simple product/service landing page (or even a basic lead gen page), you may be able to get away with a free template. These pages don’t have very complex designs, so even if you don’t get a wealth of drag-and-drop options at your disposal, you won’t feel like you’re missing out on anything. Your page also won’t look like it’s lacking something. Once you decide to implement more advanced elements like videos, call to action buttons, and opt-in forms, you will probably have to pay to customize your landing page. If you do your research, you’ll find there are countless companies and agencies that specialize in template design. We’re going to talk more about these companies in the next section. We do caution here that you should always do your homework. Shop around and compare pricing plans before choosing a company. If you’re a busy business owner or marketer, you can save time using a template. You can also save money if you choose a free template. You can also design your landing page from scratch rather than trust your vision to a creative agency. You can ensure your landing page is made correctly the first, which again saves time and money. You can customize your landing page for your business goals, such as making more sales, building engagement, or acquiring more leads. Most templates are simple and fast to use, so even those who aren’t particularly tech-savvy can grasp them. You can make small tweaks and changes to your landing pages relatively easily with templates. Thus, you can drive even more sales and boost conversion rates. As beneficial as using templates can be for small business owners, sometimes they hurt more than they help. You must always shop smart, as mentioned above. Prioritize finding the right templates the same way you would any other major business decisions and you should make a smart, financially-sound choice. Free templates are often very limiting; your landing page may look plain and unfinished. Paid templates can be costly depending on which landing page platform you choose. You can't just choose the first template plan you find. Unless you make significant customizations to your template, there’s probably a company out there that has already used the same template. This removes any sense of uniqueness, and worse, you could be accused of copying the other company’s website design. Your credibility could take a hit. We’re not discouraging you from using templates to design your landing pages. In fact, we know that templates can be extremely convenient if you’ve never built your own landing page before. You can also make quick changes to the layout of your page anytime in minutes. The ease of use you would enjoy with a template starts with choosing the right option. As we discussed earlier in this chapter, there are many template services out there, and they’re not all the best choice for your business. How do you know you’ve selected the right kind of template for your landing page needs? We’ll now explain. A good template should have a wealth of design options. 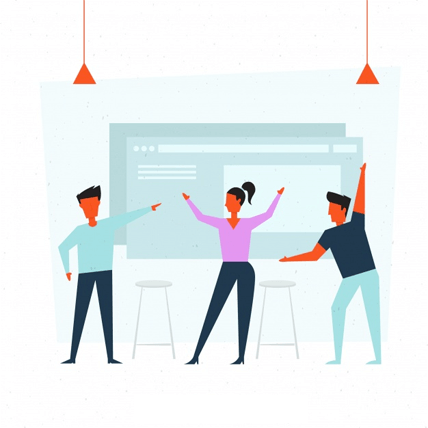 If you want a basic landing page that lets the copy or the explainer video shine, then you don’t necessarily need a whole lot of bells and whistles. Conversely, if you want a page that is going to encourage a lead to subscribe to your email newsletter, you should be able to add appealing visual designs as well. Having more options than you’ll ever need is ideal. Your template should allow you to make landing pages with every design element you can imagine. These include videos, images, opt-in forms, privacy policies, pop-ups, lightbars, call to action buttons, and more. The landing page should work for desktop users and it has to be mobile optimized as well. Mobile optimization refers the same website being automatically adjusted to different screen sizes - like smartphones, tablets, laptops, and other mobile devices. Websites that are not optimized for mobile may have misaligned menus, stretched or undersized images, overflow text in block elements, and other disappointing design flaws. Leads or customers who go to access your landing page via mobile should see a well-designed and simple to navigate page. If they don’t, they will move on and probably choose one of your competitors. Mobile optimization is a basic pillar of good website design in the modern era of internet marketing. If your landing page isn’t yet optimized for mobile, it’s worth spending time and money to change that. It should be easy to arrange the elements of your landing page via the template. Some platforms let you drag and drop elements so you’re not expected to know basic HTML for formatting the design. After all, the latter can be very time-consuming and confusing if you don't know any coding. At that point, if your template is hard to figure out, you might have to hire a designer to make the page for you. This is probably not what you want, so keep searching and comparing plans until you find an easy-to-use template with plenty of customization options. Most companies and agencies that provide templates for landing pages don’t do so for free. You may get a 30-day free trial, but eventually, you’ll be expected to start paying to avail more features. As you can see from the examples above, some companies deal exclusively in template design. Others provide more marketing services. Research the cost of what you’re getting before you sign up for a subscription. Once you’ve chosen a template that works for you, you’re going to want to A/B test the first version of your new landing page against your old one. What is A/B testing? It is also known as Split testing. It involves comparing two versions of the same element against one another to see which one satisfies a common goal better. You might A/B test two versions of your homepage, sales page, and your landing pages. 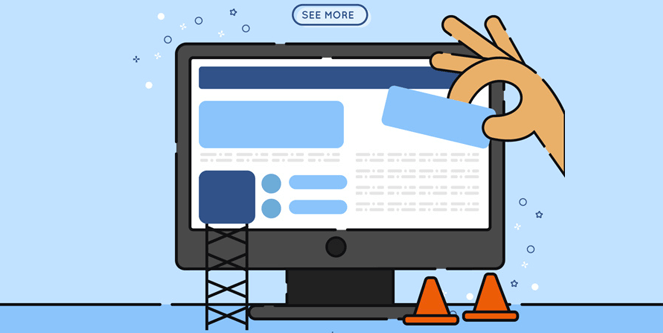 By reviewing metrics such as traffic, conversions, sales, and customer feedback, you can determine which version of the landing page works well with your customers. You should A/B test often, especially when you change a major content or design element. With drag and drop templates, you should be able to make small changes like change the color of your call to action button or a headline in minutes. Templates can save you time when creating the perfect landing page for your business. You also save money because you don’t have to hire a third-party design company to make the landing page for you. There are both free and paid templates, with the latter much more common. You can often use paid templates on a free-trial basis. A good template should fit your budget. It should also be easy to navigate and have a variety of design elements to choose from. Now that you’ve designed a great landing page using a template, the next step is to drive traffic to the page. In Chapter 4, we are going to discuss how to do just that. Whether you can’t get any traffic to your landing pages or you have some traffic but not enough, you’re certainly going to want to check back for the next chapter.